It might as well be spring! Shake off those post-winter blues with a trip to the theatre. 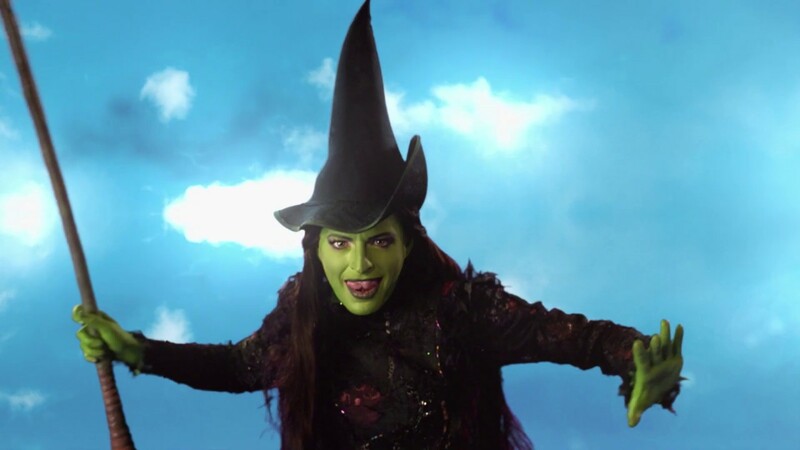 From spectacular Disney sensations to new musicals like The Prom, here’s a list of family-friendly shows on and off Broadway. One of the biggest and funniest new shows of the season, The Prom is an original musical starring Broadway veterans Beth Leavel (Bandstand, The Drowsy Chaperone), Brooks Ashmanskus (Something Rotten! ), Angie Schworer (The Producers, Big Fish, Something Rotten! ), and Christopher Sieber (Shrek, Spamalot). The story centers on four narcissists who find that an Indiana town needs their help after the school board bans a student from attending prom with her girlfriend. The show, playing at the Longacre Theatre, not only has sass and pizzazz, it has a clear message of inclusivity. This true story will be a history lesson for the kids. The show, playing at the Gerald Schoenfeld Theatre, tells a touching story that came from the tragedy of September 11, 2001. When 38 planes carrying more than 6,500 passengers were diverted to the remote town of Gander, Newfoundland, the residents opened not only their homes but their hearts to complete strangers. 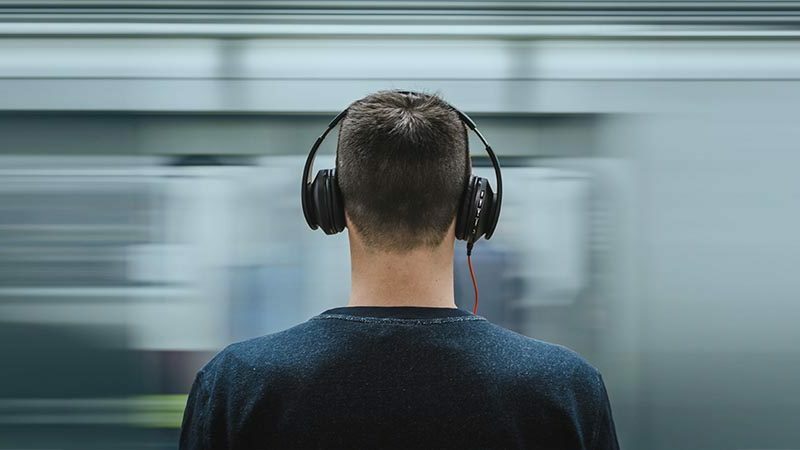 This breathtaking 100-minute musical was crafted by two Canadian writers and based on hundreds of hours of interviews collected during the 10th anniversary of that fateful week. The show embraces themes of gratitude, enduring friendship, and compassion. You ain’t never had a friend like Aladdin. Experience this Disney classic at the New Amsterdam Theatre before the live-action movie version starring Will Smith as the Genie comes is released nationwide. 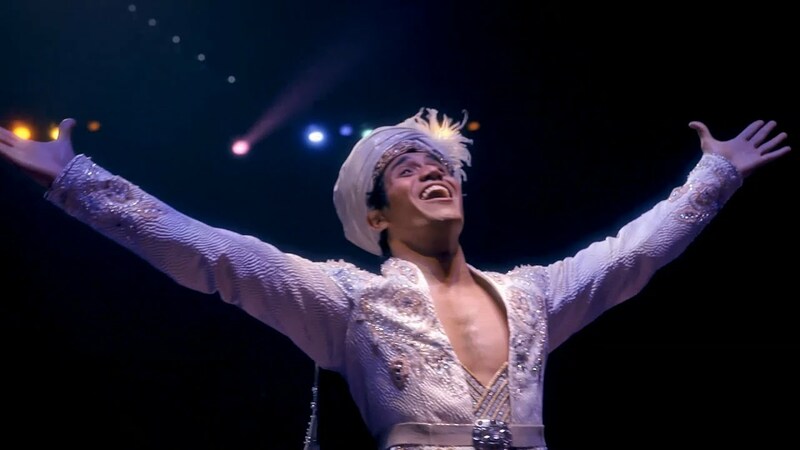 The show tells the story of a poor boy named Aladdin (Ainsley Melham) who’s granted three wishes by a genie (Michael James Scott) in a magic lamp. 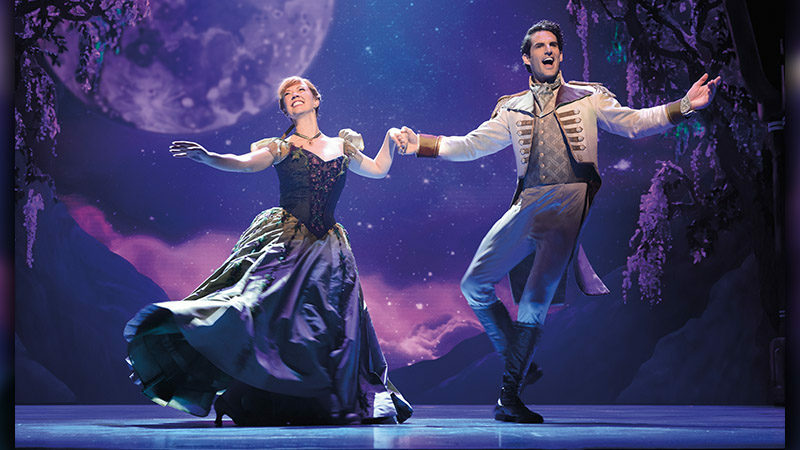 The musical numbers, from “Friend Like Me” to “Prince Ali,” will have you on your feet. Plus, the magic carpet is a thrilling sight for any little ones who join you for the adventure to Agrabah. Jonathan Freeman, who plays Jafar, was also the voice of the villain in the original 1992 animated film. 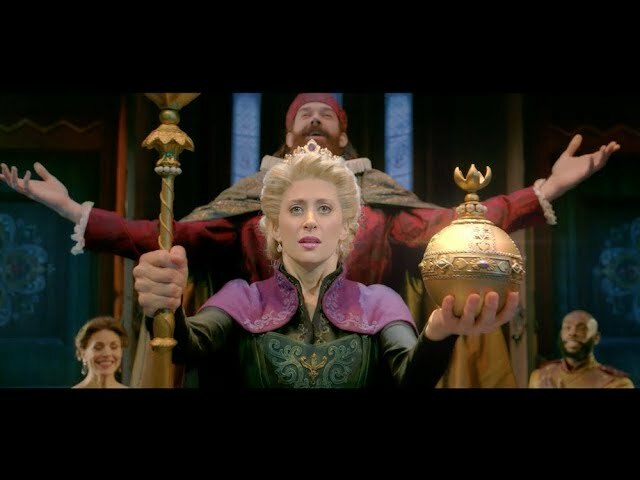 Patti Murin and Caissie Levy star as Anna and Elsa, respectively, in this stage adaptation of the blockbuster Disney animated film, with music and lyrics by double EGOT winner Robert Lopez and Kristen Anderson-Lopez. You’ll hear all of your favorite songs — plus some new ones written for the stage — in this production of the now-classic tale of sisters struggling to understand one’s wintry powers. You don’t have to know a word of Yiddish to understand the plot of this classic musical. 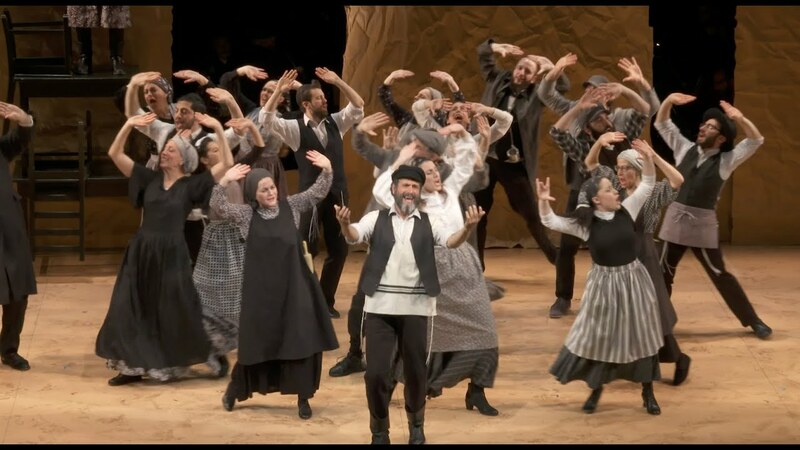 Now playing Off-Broadway at Stage 42, Fiddler on the Roof in Yiddish tells the story of milkman Tevye and his wife, Golde, who seek a matchmaker to find husbands for their five daughters on 1900s Russia. The iconic songs by Sheldon Harnick and Jerry Boch are all there: “Tradition,” “If I Were a Rich Man,” “To Life,” and “Matchmaker.” Projections on the sides of the proscenium display the English and Russian translations. Oscar and Tony Award winner Joel Grey (Cabaret, Wicked) directs. It’s so wrong, it’s right! Star Wars: The Force Awakens director J.J. Abrams produced of this Off-Broadway musical now playing at New World Stages. 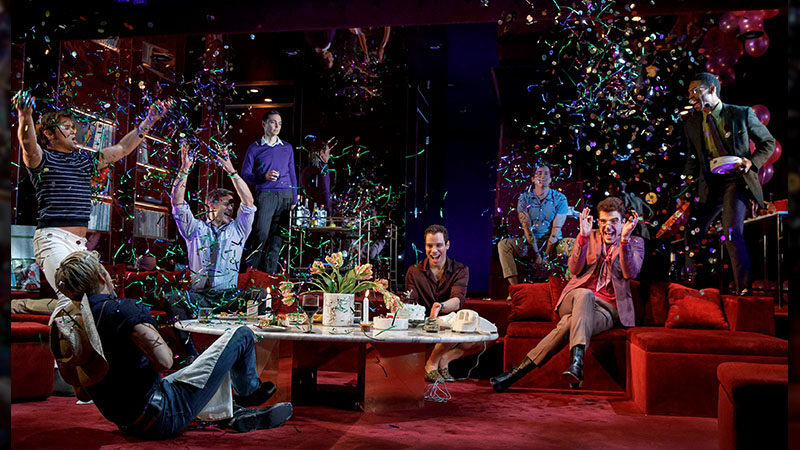 The play transferred after a successful run at the Lyceum Theatre on Broadway. The whole family will be cackling watching everything go wrong as the cast tries to put on a murder mystery show. Not even the corpse can play dead! Yes, it’s still playing! The show, which premiered on Manhattan’s Lower East Side in 1987, is still wowing families more than 30 years later. The performance-art show, playing at the Astor Place Theatre, incorporates different music and art throughout. Three bald, blue men take you on a spectacular journey that runs about 90 to 105 minutes without an intermission. Paint may splatter, which is why rain ponchos are offered during the performance.